Months pass by and the CAT Second Shift work boot stays in the bestseller list. We’re seeing this boot in the top 7 for a very long time. Today, August 2018, that’s on #2 spot. A constant best seller. Why is it there for like eons? Caterpillar is a well-known brand for huge construction machineries. They stayed close to the construction professionals, and did see a gap they could fill by themselves. 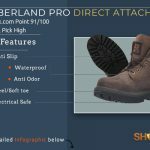 Safety boots cost a lot. 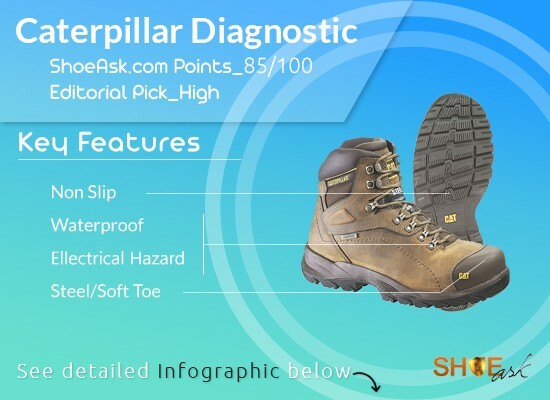 High investment on boots is unavoidable but those footwear frequently fail to ensure everything a worker needs. Professional boots are usually ugly. Not that comfortable. Don’t serve for a long time. 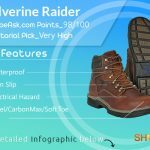 Now that CAT entered the footwear bazaar, they started making boots that are nice looking, very affordable, last for a decent time and most importantly, work-specific. People trust the brand CAT as they operate their excavating tools. So they are more than happy to wear CAT whom they trusted for a long time. 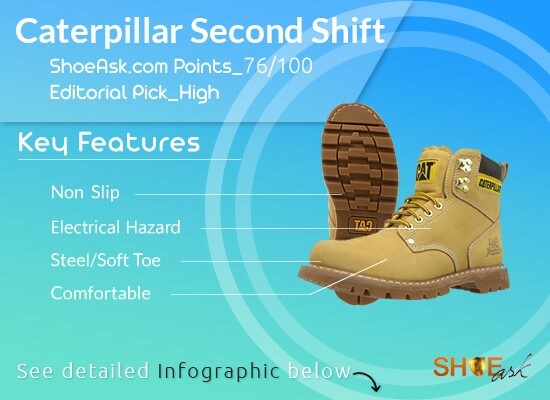 Now, why do the 2nd Shift Work Boot sort of reign atop the chart? CAT can feel workers’ pain. The very first thing is comfort. People working in harsh conditions need unprecedented comfort at an affordable price. They need to protect their feet and they do work for prolonged hours. You can barely protest if you must work for the second shift, right? That’s for the job safety and more work done means more payment. 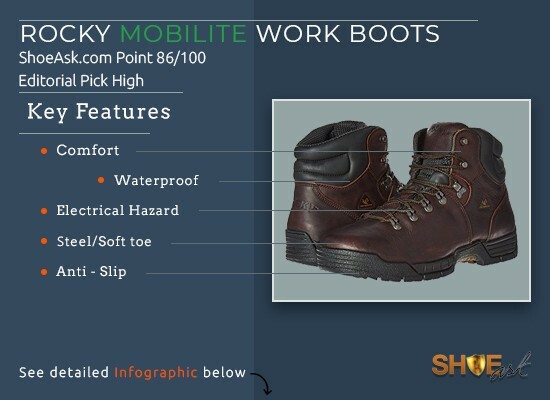 There are two types of 2nd Shift work boots: Steel toe and soft toe. And there are basically three colors: Dark brown, honey and black. If you go through a thousand reviews just like we did, you will find that hard working honest people who are building the nation love CAT in the United States. Why not? 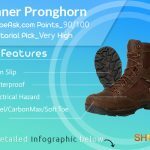 This is the sworn overtime boot. 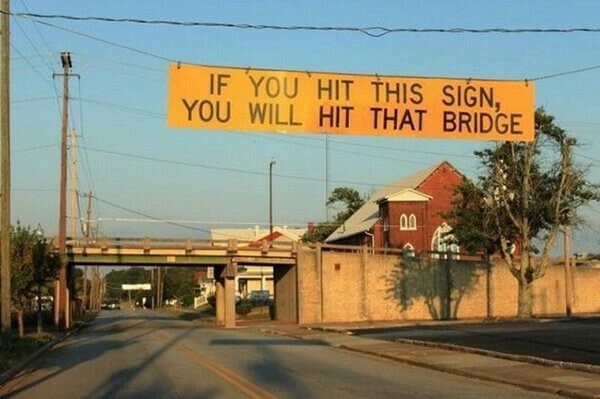 Made in China, decent construction though. More sturdy boots of choice. Construction experts, electricians, equipment operators, industrial workers, carpenters and boilermakers. 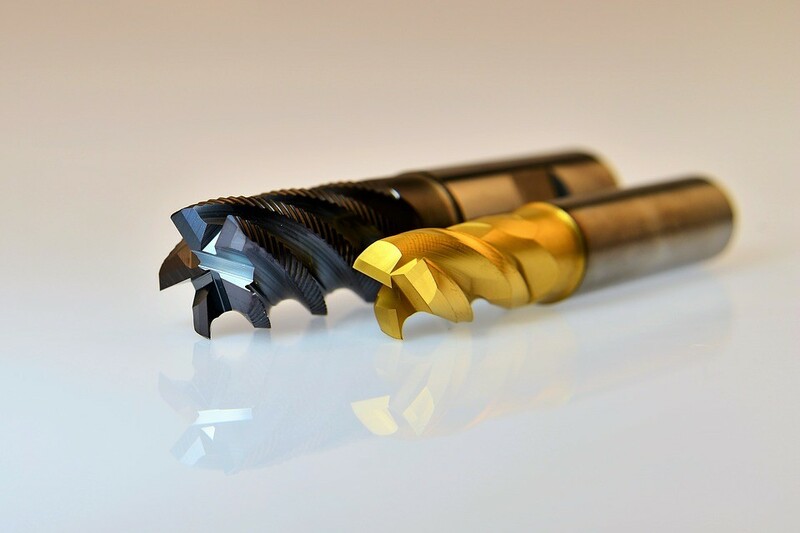 Industrial developers, designers, engineers, site managers, supervisors and forklift truck drivers love these too. People working in the oil, gas and power section also wear them. Most of the evaluations are more than positive. You can bank on them. Better material. However, there are some negative evaluations from old users. Experts do recognize them very well. 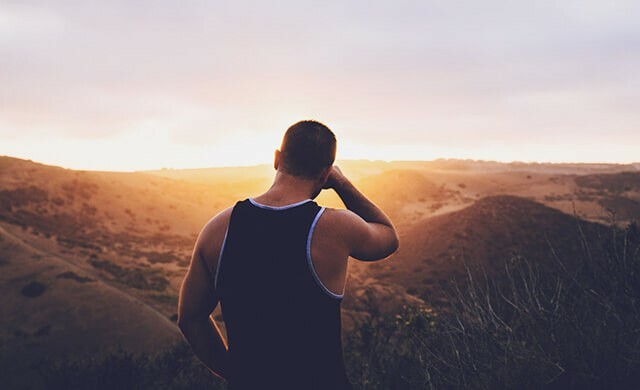 We’ve found a lot of recommendations all over the social media: Reddit, Facebook, Quora etc. If you can use them for 10 to 12 months, it’s more than OK. Some used a pair for 18 months. CAT Second Shift are not the longest lasting ones but these are neither the crappy ones you will find for 30-50 dollars. Many say that these did not last for more than 6-8 months. The thing is, if you can do a little caretaking and if you can use more than one pair wearing every other day, they will definitely serve for 10+ months. These are comfortable than the most. 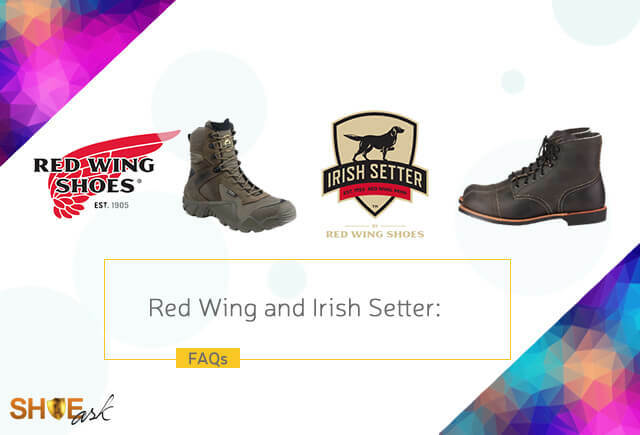 If you want to compare, brands like Timberland, Red Wing, Keen and Wolverine are more comfortable. 2nd Shift are not soft enough from inside? Maybe you need some more cushion comfort. Try using some gel pads, it worked. 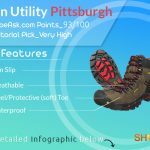 Some evaluations like this one- “My husband does not think they would be too comfortable for standing long periods of time.” may lead you to find more pricey boots. They are water resistant, but you can waterproof them. The soles are waterproof. 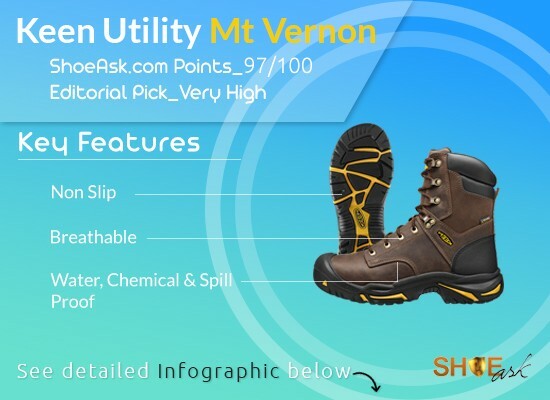 Oil-resistant traction outsole prevents sudden fall. Good grease resistant. Toe box is roomy. 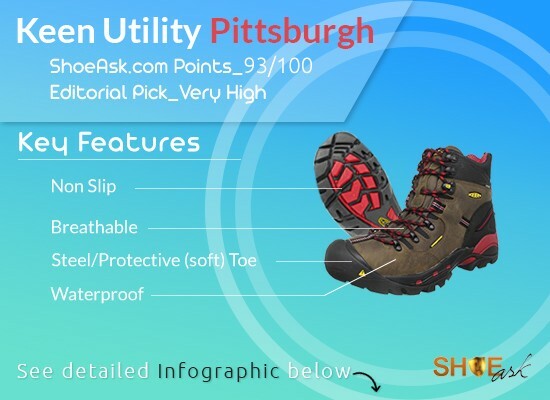 There are soft and steel toe versions. How did they manage to keep the price comparatively low? 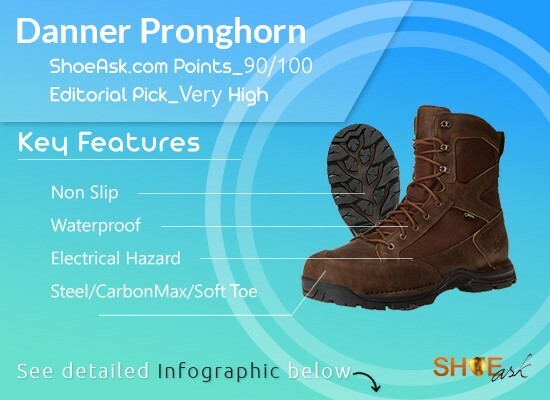 Instead of using comp or aluminum toe, they used the traditional yet popular steel toe. 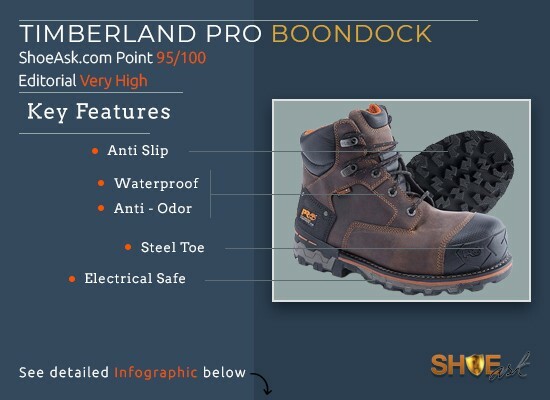 People still trust steel toe more than anything else. 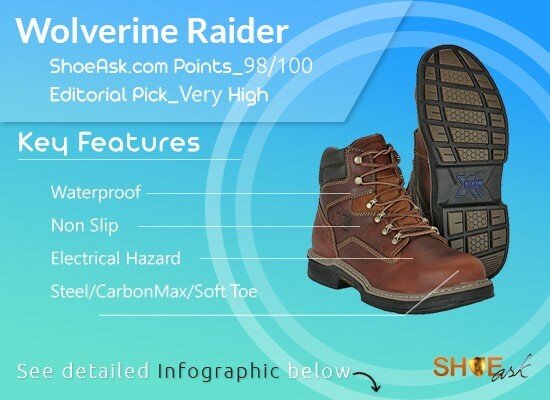 Their steel toe is certified for industrial and construction jobs: ANSI Class 75 Steel-toe, ASTM F2413-11, I/75, C/75 steel toe. Some say CAT Second Shift is not wide enough. You may need to work in them for a couple of days to break in. A little break-in period is not that bad. Electrical hazard (EH) construction- they can handle up to 600 volts in dry conditions. Well, these are the long shift work boots. Big, chunky, solid; not meant for fashion or something else. 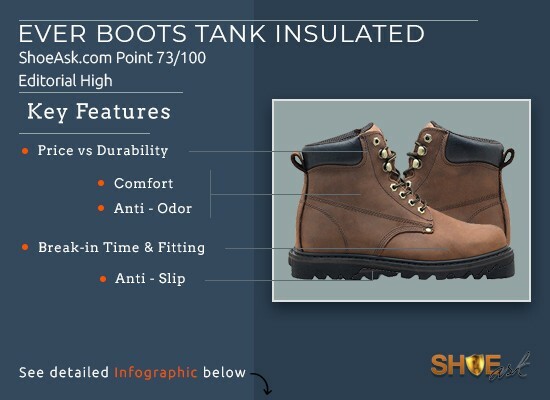 Climasphere lining helps regulate the temperature inside the boot to keep feet cool and breathable around the ankle. 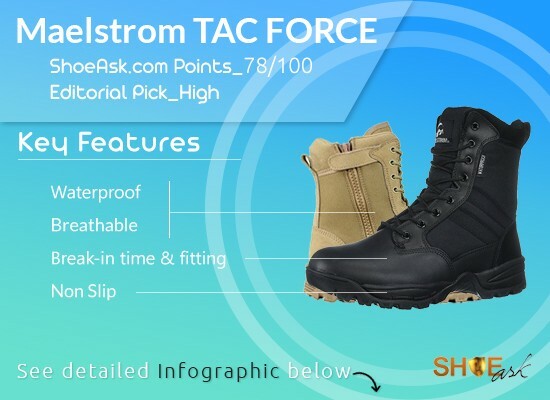 These solid looking boots can not provide ample breathability for their size and shape. Inadequate insulation. Not made for snow work. 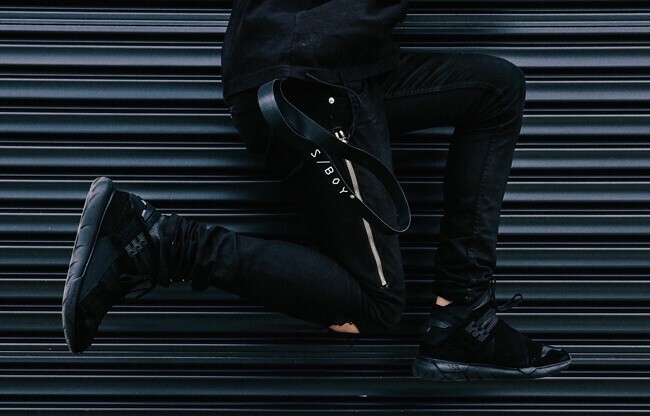 The leather quality is above average which is significantly good. Sturdy uppers. The wider heel provides better sturdy grip. 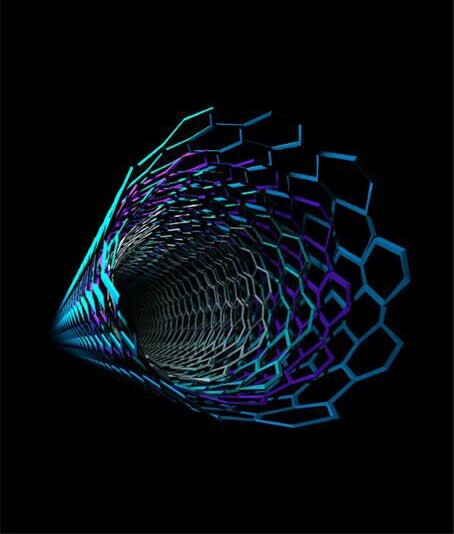 2nd Shift’s structure is not beatable and fragile. Lace and eyelets are not bad. Plush collar and tongue. Each boot is 2 pounds; pretty heavy? Maybe for a regular pair of boots but not for work boots. You will find pricey boots weighing the same. Well, they come with an insole but the insole’s quality is not good enough. They are removable and contoured. 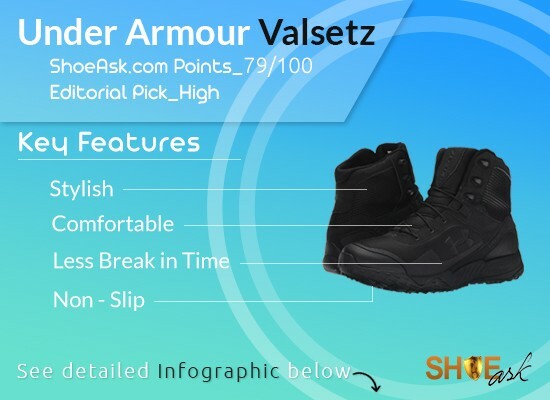 As stated by a user, “The insole is a ¼ inch thin piece of foam and the same thickness heel to toe (the heel should be thicker).”There’s no arch support from the insole, but you can purchase a pair. Midsole quality is better than the most but not as good as the top products of the industry. The shanks support these heavy boots well. 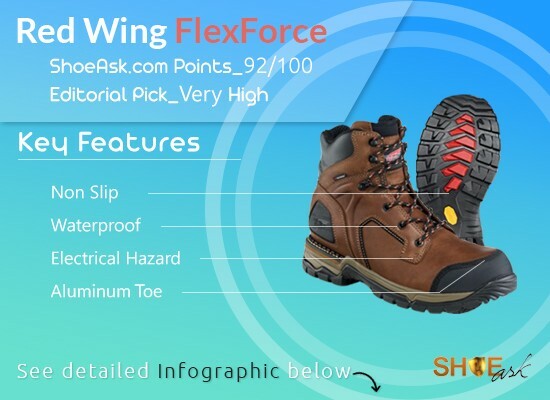 Goodyear welt construction will give you solid and durable boots. They are not that flexible though! That’s not we crave for as our main concern is safety and durability as well as comfort. The Goodyear welt construction is repairable. The rubber soles feel solid on ground. There are some comments stating that soles ripped after an unexpected period. We did not find any mention of antimicrobial treatment. These are not much breathable so odor problem may occur. Rough cleaning can do a little damage which is not good. What support do CAT offer after you’ve purchased their products? 1 year limited warranty through the manufacturer which is not bad at all. 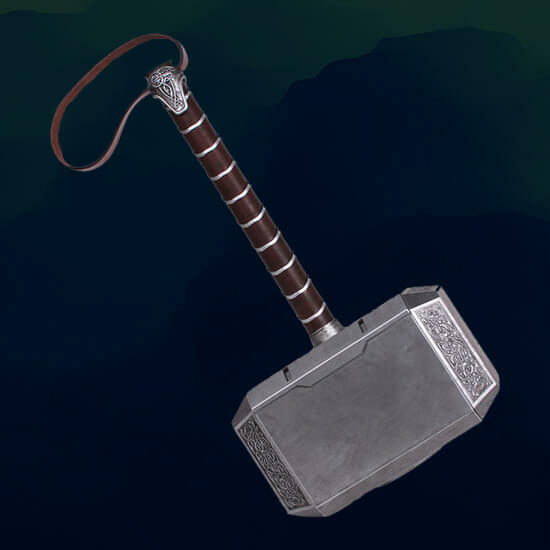 The price and incredible popularity. These are not super specific products. Not insulated which can inhibit your work flow during the winter. 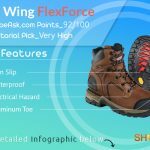 A number of complaints regarding laces. May not last for long as outsole can come off quickly. 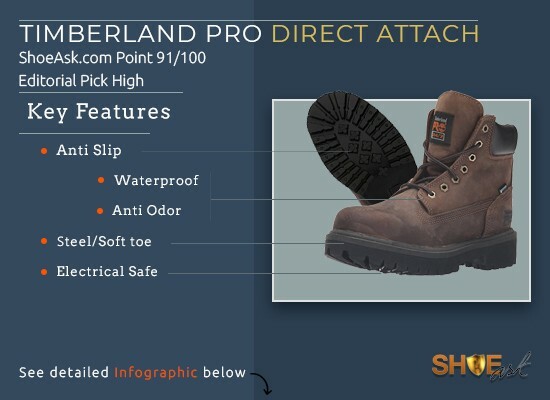 We would love to love CAT 2nd Shift boots the most, but there are not many excellent features compared to the industry leading brands. Do we recommend them? Yes, they are affordable than the most. But if you decide to invest more money, it is better to spend them on the profound brands out there.